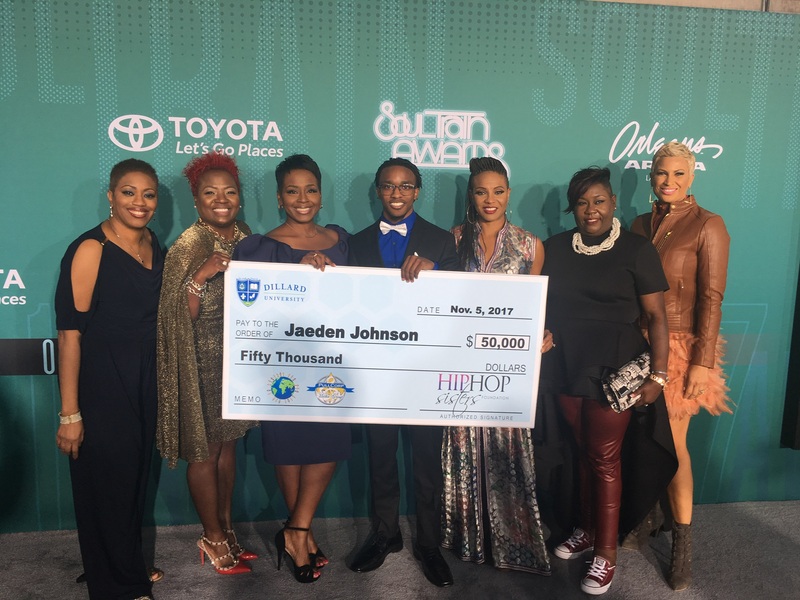 MC Lyte Presents NEW Scholar, Jaeden Johnson, with a $50,000 Scholarship on the Red Carpet of the 2017 Soul Train Music Awards! 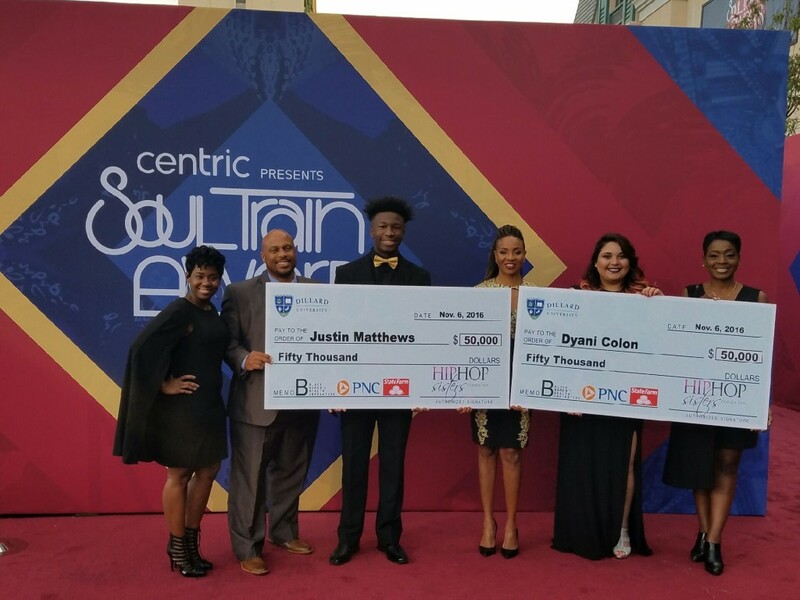 MC Lyte Presents NEW Scholars, Justin Matthews and Dyani Colon, with $50,000 Scholarships on the Red Carpet of the 2016 Soul Train Music Awards! 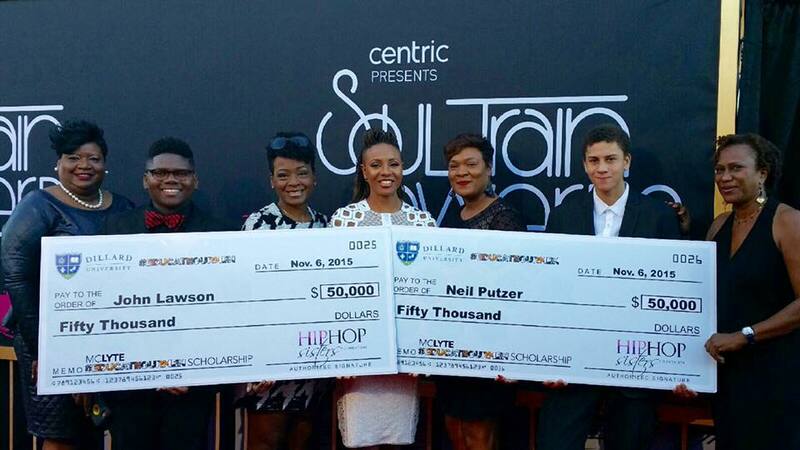 MC Lyte Presents NEW Scholars, John Lawson III and Neil Putzer, with $50,000 Scholarships on the Red Carpet of the 2015 Soul Train Music Awards! 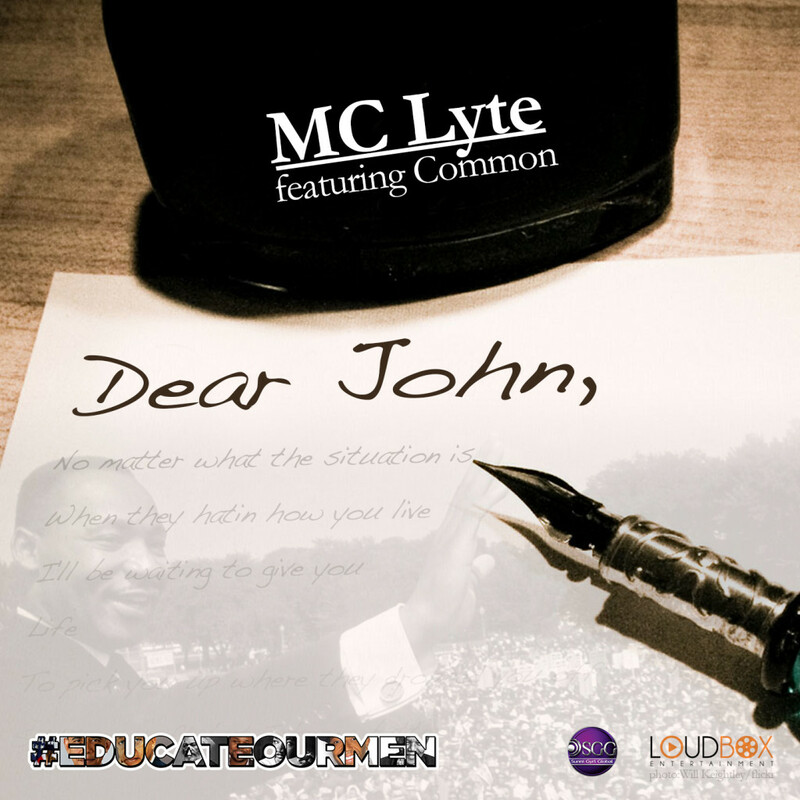 #EducateOURMen is the signature educational initiative of Hip Hop Sisters Foundation that aims to support and develop males by providing academic scholarships to obtain baccalaureate degrees primarily from HBCU’s; provide access to career and personal mentoring; and increase cultural education and social responsibility. 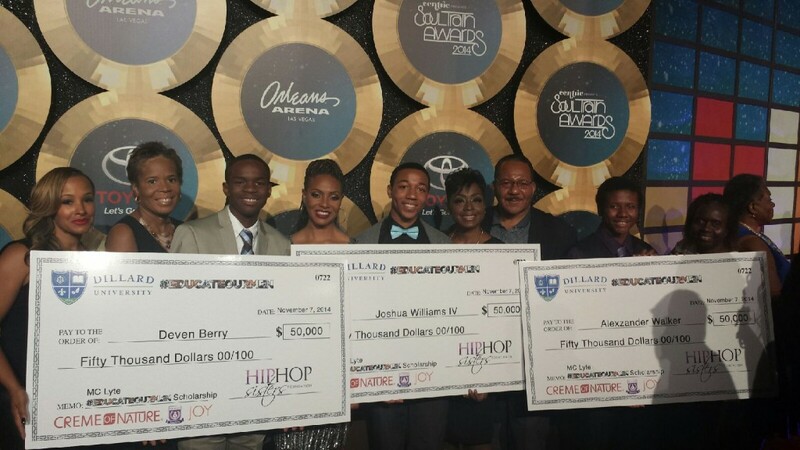 Each year since it’s inception, Hip Hop Sisters Foundation has presented two $100,000 scholarships during the Soul Train Music Awards. 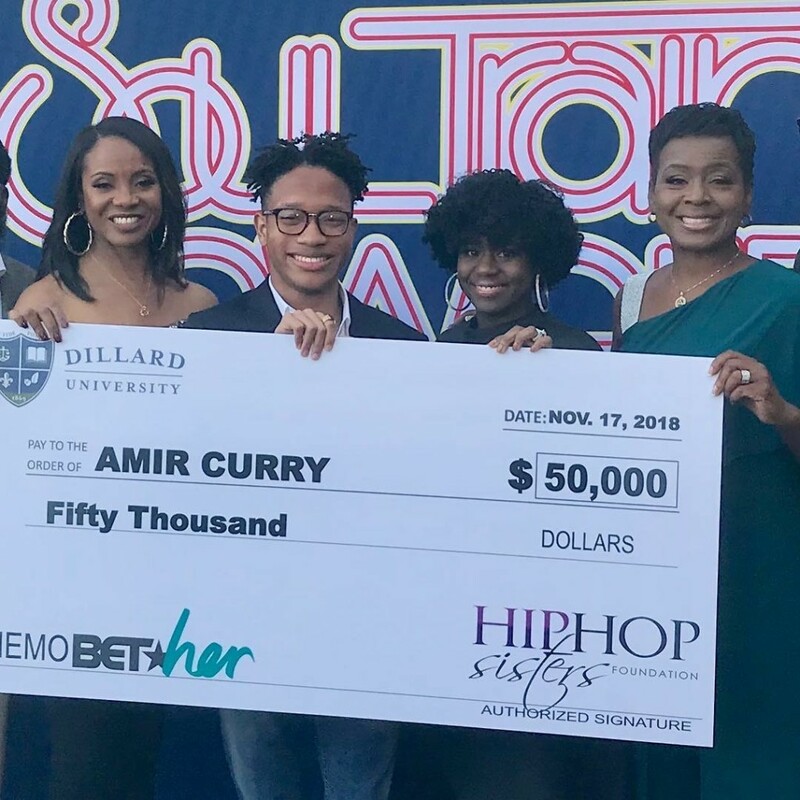 This year, our goal is to present a dozen or more full academic need-based scholarships to Dillard University. Complete the contact form below for scholarship information. The process is listed below, so feel free to get a jump start on your application! Have a chance to show off your talent and expertise across the United States, and the world with our mentoring program. what ‘Dear John’ means to you. Winners will be announced on the Soul Train Music Awards which will air in November 2018. ENTER YOUR INFORMATION BELOW SO YOU CAN LEARN MORE ABOUT THE PROCESS AND/OR TO GET STARTED ON YOUR APPLICATION FOR THE MC LYTE SCHOLARSHIP PRESENTED BY HIP HOP SISTERS FOUNDATION. AFTER YOU SUCCESSFULLY SUBMIT YOUR CONTACT INFORMATION, YOU WILL RECEIVE A MESSAGE AT THE BOTTOM OF THE SCREEN AND AN EMAIL WITH THE NEXT STEPS, WHICH WILL INCLUDE A URL FOR A WEBPAGE THAT YOU MUST ACCESS. PLEASE CHECK YOUR EMAIL/SPAM/JUNKMAIL FOR THE NEXT STEPS. PLEASE DO NOT RESUBMIT YOUR FORM UNLESS YOU HAVE A NEW EMAIL ADDRESS TO INCLUDE. I understand that by submitting this information I am not guaranteed admission into any University. I understand that being admitted to the university, does not guarantee that I will receive this scholarship. I understand that being admitted to the university, does not guaranteed admission into any affiliated program. I understand that if I am accepted, I am required to submit my complete college application, letter of recommendation and essay responses for the MC Lyte Scholarship program, no later than October 30, 2015. I consent to receive communications to include emails, phone calls, mailings, and text messages from Dillard University and the Hip Hop Sister Network. FUSION gives you the opportunity to read a private conversation between Civil Right Leader Dr. Benjamin F. Chavis, Jr. and Hip Hop Legend MC Lyte. This captivating conversation examines how the Civil Rights Movement helped with the emergence of Hip Hop and how Hip Hop continues to help the survival of the Civil Rights Movement – with a rare focus on the roles women played throughout this unique era. 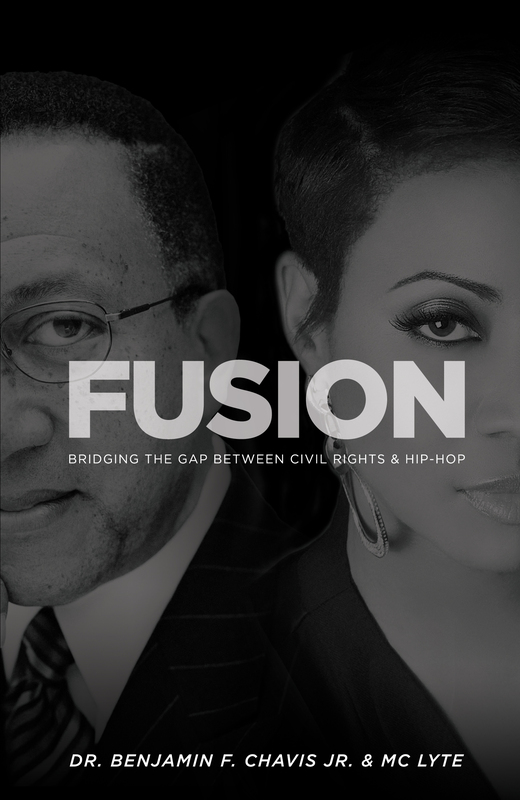 The interdependence of the Civil Rights Movement to Hip Hop is unquestionable; hence FUSION uncovers unknown historical stories that show the FUSION of these worlds. FUSION is that rare conversation turned to life – with an interpersonal look at two worlds: Civil Rights & Hip Hop, colliding in a riveting dialogue between two historic and lyrical leaders. A portion of the proceeds benefit #EDUCATEOURMEN.